KAMPALA. 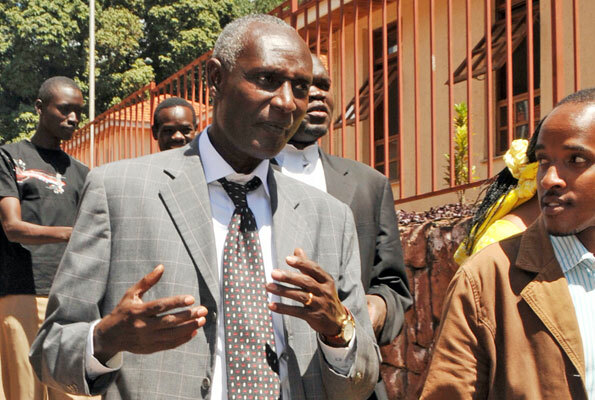 After five years on bail, the Court of Appeal is set to hear afresh the appeal in which interdicted Ministry of Works officials including; permanent Secretary John Kashaka Muhanguzi and Principal Accountant Henry Bamutura are challenging their jail sentences for causing an Shs4.6bn loss to the government in a 2011 LC1 bicycle scam. The appeal is to be heard on the April 24, by justices; Elizabeth Musoke, Hellen Obura and Cheborion Barishaki. The decision to hear this appeal again comes after the retirement of the former DCJ Steven Kavuma who left t without writing a judgment in this matter to which he presided over as lead judge in 2016. Other justices then where Justice Augustine Nshimye and Rubby Aweri. Since there is no judgment in this matter, the Court of Appeal administration has deemed it necessary to conduct a re-trial of the appeal. However, the convicts had turned up for the hearing of their case today together with their lawyer Mr David Mpanga but they were informed the court’s deputy registrar Agnes Nkonge that she only had instructions to have the matter adjourned. Court also had that one of the convicts Robert Richard Mwebaze; a former principal procurement officer in the ministry died. The appellants we’re in 2016 convicted by then Anti-corruption court judge Catherine Bamugemereire for corruption and causing government a financial loss of Shs4.6 billion in a shoddy deal of procuring 70,000 bicycles to be distributed to LC1 officials ahead of the 2011 presidential polls. They were each sentenced to serve imprisonment terms ranging from one year to 13 years with orders to each make good of the loss by paying Shs600m to government. The 6 men were also banned from holding public officers for a period of ten years.